Do I need insurance for a leased car? Do you have to pay insurance if you lease a car? When you’re entering into a lease contract, you’ll notice that some leasing companies will actually pay for certain costs associated with owning a vehicle. It’s not out of the ordinary for a company to agree to pay for routine maintenance like oil and fluid changes in order to retain as much of the vehicle’s value as possible. While every contract varies from company to company, virtually all contracts state that it’s your responsibility to pay for auto insurance. Not only must you buy insurance, you’re also responsible for buying the appropriate amount and type of coverage. Read this guide to insuring leased vehicles and you’ll be all but ready to lease a car. Start comparing car insurance rates now by using our FREE tool above! Enter your zip code to get started! 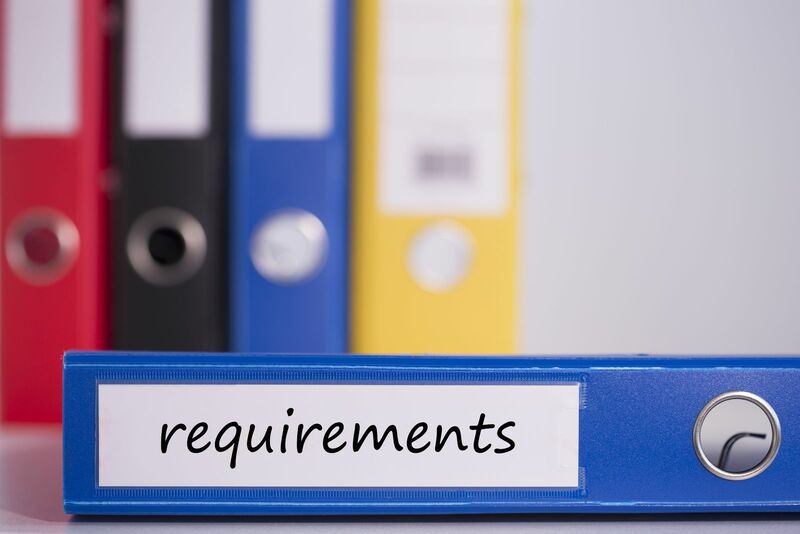 What are insurance requirements in the state? Is minimum coverage enough when you’re leasing? Why are leasing liability requirements higher? How much physical damage coverage do you need? What does it mean when you have to list a loss payee on your insurance? Is gap insurance a requirement on leased cars? You might already know that a leased car is titled in the name of its owner. While the leaser is the one listed on the title, in most cases you as the lessee will be the registered owner when you apply for plates. This happens when the leasing company has the lessee sign a Power of Attorney to register the vehicle in the United States. Once the Power of Attorney form is signed and the vehicle is registered, the lessee and primary driver are responsible for meeting the auto insurance requirements that are set by state officials. It also says in the fine print of the lease contract that it’s the lessee’s responsibility to maintain liability coverage to protect their finances and also to protect the lessor. Insurance requirements vary from state to state. In most states, strictly third-party liability insurance is required. This type of coverage will pay for the bodily injury and the property damage that is caused by the insured person and other listed or permissive drivers. The actual limits that are required cross-country are fairly low, but some states have pushed for higher limits than others. It is also possible that you might be required to carry personal injury protection and uninsured motorist coverage that will pay for your own medical bills. Whatever the state insurance requirements are, it’s your job to be sure that you comply with them. Failing to comply with these mandated laws could result in court dates in both civil and criminal court. State officials set the rules that all residents in the state must comply with. You’ll be responsible for abiding by these rules and also fulfilling your obligations as a lessee when you’re leasing a car. Under a lease contract, you’re required to buy higher limits of third-party liability coverage than what’s required by the state. It’s easy to question why you’d need higher limits of liability than the average person in the state when you’re driving a car that belongs to a leasing company and not yourself. This is actually the prime reason why you’re expected to purchase more coverage. While someone who’s injured in a loss would first file a claim or suit against the driver of the car, it’s also possible that they could come after the leasing company. By requiring the driver to carry higher than normal limits, it provides the lessor with a larger buffer of protection in the event of a big accident that results in a large lawsuit. You might be comfortable with requirements surrounding liability coverage, but the requirements on purchasing physical damage coverage are very different. If the leased vehicle is damaged, the lessor could easily be out of thousands of dollars in residual values and in leasing fees as well. This is why the company will pay very close attention to your coverage to ensure that your insurer will pay to repair the car or replace it when you’re entering into the contract. All lessees must carry both comprehensive and collision coverage on the car under contract. Each of these will pay for damage to the vehicle for different causes. Comprehensive pays for parked claims or claims that involve a collision with a live animal. Collision pays for damage that is sustained while the vehicle is being driven. Full coverage is a must and the deductible that you choose is important. Since lessors don’t want you to have a deductible that you can’t afford to pay, many have written into their contract that you can’t carry a deductible higher than $500. Some may be a little more lenient and allow you to carry a $1000 deductible if you’re leasing a high-end luxury auto. The only way that the lessor can verify you have coverage is by requiring you to list their company as a loss payee. This means that the company will be notified when coverage changes or is canceled. It also means that the insured will have to get claims check signed off by the loss payee so that they’re aware the vehicle was involved in a loss and that the vehicle is being repaired. The very last insurance-related requirement you might run into is gap insurance. This is only required if it’s not already included in your lease contract. It protects the lessor by paying for the depreciation and also protects you as the lessee by paying for the remainder of your lease payments. Check to see if it’s cheaper to add Guaranteed Asset Protection through your personal car insurer or through the company. As you can see, when you lease a car it’s common for your insurance to cost more than it would if you were financing. With this being said, there are ways to keep your auto insurance costs low. The most effective way to save is to shop around for auto insurance with an online comparison tool. Enter your zip code in our FREE tool above to compare car insurance quotes now!